Make working for your easily accessible with employee commuter shuttles from Windstar Lines. With this service, we partner with companies to provider shuttle services for employees to get to and from work. This is especially popular in large cities where public transportation and traffic can be congested. If your company employs a large number of people from a certain area, contact us today to learn more about hiring us for your employee commuter shuttle. Health Benefits: Studies show that stress-related health problems like high blood pressure, anxiety, high cholesterol, and depression, are all associated with routinely driving in traffic day-in and day-out. Reputation: Providing a perk that will benefit your employees presents you as a forward thinking employer that cares about their employees and supports a reasonable work-life balance. A good reputation is a top advantage when seeking employees. Reduce Carbon Footprint: Rideshare.com reports that the U.S. could save approximately 33 million gallons of gas per day, if the average vehicle carried just one more person on their morning commute. Imagine what carrying 56 passengers can do! Saves Money: Your company may receive tax credits for offering a commuter program. Happy Employees: A commuter program is a good way to offer the opportunity for co-workers who may never interact, to get to know each other. Making friends and having social interaction helps people feel more connected to their workplace and have a sense of teamwork. Dedicated website with tracking, schedules, etc. 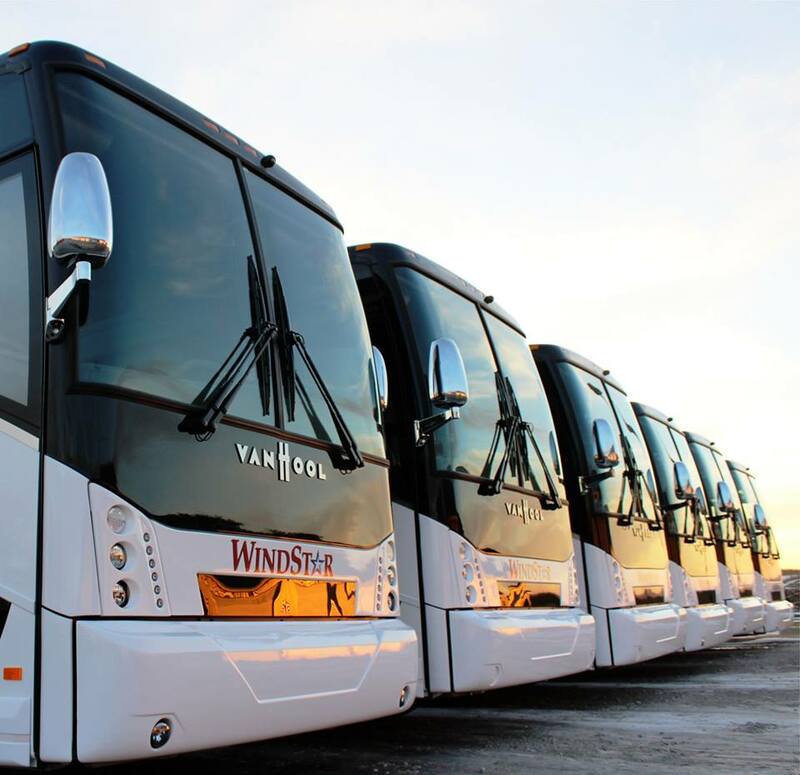 Why Windstar for Your Corporate Shuttles?